That’s a serious-looking bird. Might be on his way to work. The Egret of Wall Street. (Makes me homesick for Florida. We were to have been on Sanibel last week. 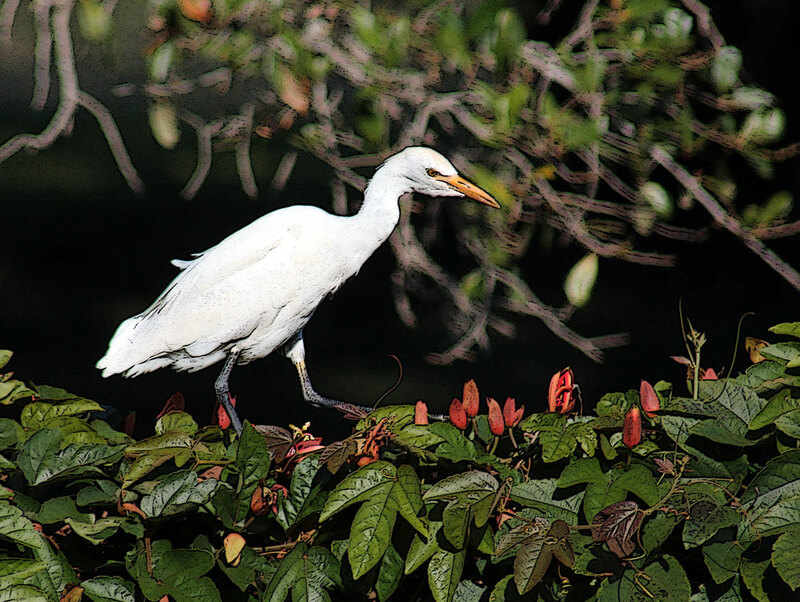 Hi Cathy, I’m pretty sure it’s a cattle egret. I looked up snowys, and they have much brighter feet and longer black beaks. Pretty birds; the past couple of days they have taken a shine to walking the top of my back fence. Today, the ibises came, too.